Has there ever been a more dignified and lauded end to a national newspaper editing career? After 20 years in charge of The Guardian, Alan Rusbridger bowed out at a time of his choosing – to take up a new role chairing the paper’s owner, the Scott Trust. There were glowing speeches from his successor, Katharine Viner, and long-serving deputy Paul Johnson last Friday afternoon, and then around 200 staff banged him out down the stairs (an old Fleet Street tradition which has only returned to The Guardian over the last few years). Then they all repaired to the pub. No one would question the fact that Rusbridger has gone out with an impressive run of scoops and investigations: Phone-hacking, Wikileaks, Snowden and then HSBC. 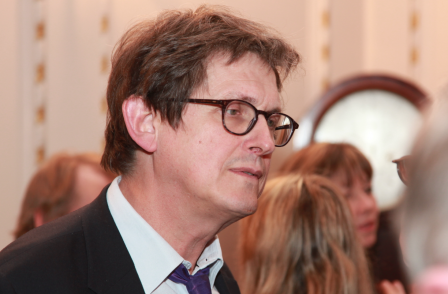 But while Rusbridger has undoubtedly been loved by his staff and hugely respected throughout the journalism industry (see tributes here), questions remain over his legacy. He leaves The Guardian financially secure, thanks to the £619m proceeds last year from the sale of Guardian Media Group’s Autotrader stake. But he is also an editor who has presided over losses in the last decade at Guardian News and Media of (by my estimate) at least £300m. Phone-hacking was possibly the greatest ever British newspaper investigation. But it also had the unforeseen consequence of helping to bring about the closure of the News of the World, the arrests of dozens of journalists and their sources and state-involvement in press regulation. The world-changing front-page story of 5 July 2011, revealing that the NoW had listened to the voicemail messages of Milly Dowler, has since been widely criticised for containing a significant flaw. The Pulitzer Prize-winning Edward Snowden revelations of 2013 had a bigger global impact even than hacking. But there are those who claim that revealing confidential details about state surveillance have made Britain and America less safe by tipping off those who would do us harm. Rusbridger spoke to Press Gazette days after stepping down as editor, transplanted from his spacious Kings Place office to a tiny room at the London School of Economics, where he is currently borrowing a desk. First up, how does it feel be off the treadmill? “On the plus side, in last couple of months there’s been an air of lightness because you carry around all these things in your head that you have to solve and the moment when you think that’s not my problem any more, that’s Kath’s, is quite a nice feeling. Rusbridger says his decision to stand down was prompted by Liz Forgan’s planned departure as chair of the Scott Trust – the body which owns The Guardian and Observer – and the opportunity to take over from her. “By and large I’m handing over to Kath something that is broadly an organisation which is successful, meeting the digital future, lots of money in the bank, people feel good about it. Asked about the high-points of his 20-year run as editor, Rusbridger cites “two incredibly dramatic moments”: the Jonathan Aitken libel trial of 1997 and publishing the first video interview with NSA source Edward Snowden in June 2013. Former Tory cabinet minister Aitken sued The Guardian for reporting that he lied over who paid for a £1,000-a-night stay at the Ritz Hotel in Paris. The trial collapsed when The Guardian produced evidence proving him to be a liar. Rusbridger says: “The moment where we produced the evidence – that was the end of the trial and the end of his public life. “There were moments in the Aitken trial where you thought the judge was getting on very well with Aitken and the friends of Aitken really smelt blood and thought they were going to get us and it was going to be payback time for [Neil] Hamilton and cash for questions. The toughest moments he recalls involved the kidnaps of staff. Reporter Ghaith Abdul-Ahad (pictured left) was kidnapped twice in Afghanistan, and Rory Carroll was held for 36 hours after being kidnapped in Baghdad. Rusbridger says of these incidents “you get a camp bed and are sleeping in the office all night long wondering what more you can be doing”. Rusbridger says that even in 1995 he would not have read the whole paper before publication. Talking about the way the job has changed, he says: “I definitely was much more hands-on when I started and much more out on the floor and doing stints of editing. "It didn’t seem easy at the time, but looking back it was comparatively simple. “A newspaper was a finite thing. You knew how much it all cost and how much you charged, how much space you had and it was relatively uncomplicated. “Over the last 20 years it's just become unbelievably complex..
Rusbridger says he doesn’t think he ever “cracked” how best to balance the competing pressures on his time. Rusbridger was the first Fleet Street editor to spot the significance of the internet, launching the Guardian Unlimited website in 1999 and investing huge resources in it since then. He inherited a newspaper with a daily print circulation of 400,000 and no website. He leaves one with a print circulation of around 180,000 but daily digital reach of more than 7m global browsers (different devices, rather than people). Rusbridger also inherited a newspaper that was profitable and has managed to lose more than £300m across Guardian News and Media (The Guardian and Observer newspapers plus the website) over the last decade. In recent years, losses have been reduced to around £20m a year, a level which is sustainable because Guardian Media Group has more than £800m in the bank (most of which came from the sale last year of its 50.1 per cent stake in car sales website Autotrader). Rusbridger clearly sees the huge losses as a price worth paying to secure the future of The Guardian. And he reveals that GNM is set to reach a significant digital tipping point in the current financial year, which runs to the end of March 2016. “We made £80m in digital last year and I think we are budgeting to make £100m in digital this year. That would be roughly the transition point at which digital was earning more than non-digital. He says that the new digital business models for newspapers are still in their “infancy”, but adds that “there will be shed-loads of money coming into digital”. Rusbridger talks about the losses of the past, which peaked at £44m in 2011/2012, in the context of the “near-death experience” that many newspapers experienced in the years after 2008. He says: “That was a terrible period where the world economy had collapsed. We lost £40m of advertising in print in one year on a turnover of about £220m – that’s a hell of a chunk of money. 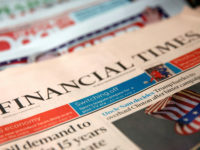 “Money is walking out of the door, the economy has collapsed, which is exactly the time when the board had to decide to invest in digital – even though the money’s not yet there – as well as doing print. He says The Guardian is like a “caravan” which has “kept everyone together”. Some 58 journalists took voluntary redundancy in 2013 but there were no compulsory exits. The highest profile piece of “proper journalism” The Guardian has done in recent years has been the series of stories published in 2013 based on thousands of documents leaked to the paper by Snowden. Security service officials, and journalists in the UK, have lined up to accuse Edward Snowden and The Guardian of making the West less safe by revealing details of state surveillance capabilities. According the Daily Mail, The Guardian acted with “supreme arrogance” to be Snowden’s “willing accomplice”. Former head of GCHQ Sir David Omand described the Snowden files as “the most catastrophic loss to British intelligence ever”. He adds: “But if you start from the premise that a source has risked a great deal to give you the stuff, 99.9 per cent of journalists would look. And then, once you’ve looked, you would be in the same position as us. You would think some of this stuff is unusable, some of this stuff is incredibly interesting, there are logistical problems about keeping this safely, how are we going to deal with the governments? “You might have slightly different judgments on one or two of the stories but you would say there is clearly a public interest in some of this material being known. Rusbridger says that when he asks critics which Snowden story they wouldn’t have published they never come back to him. The other big global story of the Rusbridger years came from another US whistleblower – Private Bradley (now Chelsea) Manning, who gave Wikileaks thousands of documents about the conduct of the US war in Afghanistan and Iraq. These documents were in turn shared with The Guardian, Der Spiegel and the New York Times. Wikileaks editor Julian Assange has since become an outspoken critic of The Guardian. The Sun has been another outspoken of The Guardian in recent years. Last year it described the paper's staff in a leader column as “smug know alls” who had put the country in danger with their “liberal hand-wringing”. 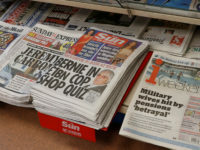 But he goes on to talk at length about the paper’s coverage of the hacking scandal, which he believes has prompted the hostility – and in particular the Milly Dowler front page of June 2011. He says: “What would you do if you were an editor and Nick Davies had brought you that story which at the minimum was a story about a major global corporation out of control? That’s their best line. We had no knowledge of this. “Is that a story that you don’t use because it’s about the press and it’s your mates? If anybody says that, come out and say that then we know the rules. But nobody will say that. In fact the opposite is true, all these editors rang me up after the Milly Dowler story and said ‘that’s a great story, we were slow to recognise it’. In the weeks after the decision to close the News of the World, News Corp created a Management and Standards Committee to “drain the swamp” as one lawyer put it. It then gave Sun emails to the police which led to dozens of journalists and the public officials they paid for stories being arrested. Rusbridger says: “In my quiet conversations with Sun people actually I sense not a fury with The Guardian but a fury with the way their own management handed over all this material, shopped the sources, hung the journalists out to dry while the top executives got big pay offs or miraculously the material that implicated them has never materialised. Dacre is the only other serving national newspaper to have been in the same job for as long as Rusbridger (he was made Mail editor in 1992). Does Rusbridger get on with Dacre at a personal level? The Milly Dowler story stated that News of the World journalists deleted voicemail messages giving the missing girl’s family "false hope" she was alive. The Guardian later added a footnote to 37 stories making this claim saying new evidence had “led the Metropolitan Police to believe that this was unlikely to have been correct”. Asked about how such a significant error appeared in one of the most important stories The Guardian has ever published, Rusbridger says: “We don’t know that it wasn’t true. The police came out after looking at it for months and months and examining every scrap of evidence and said we can’t say. “We should have been softer in asserting it and we’ve said that. But nobody can say it wasn’t true. I’ve read the minutes from the police when Mrs Dowler’s saying to the police, ‘I think it’s the News of the World’ and the police are saying to her it’s a reasonable assumption to make. She believed it. Some say the storm of protest which led to the closure of the News of the World and much else that followed was caused by revulsion over the “false hope” claim. On balance, Rusbridger believes the world is a better place as a result of its phone-hacking revelations – whatever the unforeseen consequences of the Milly Dowler story. “It’s now apparent that criminal behaviour was rife and out of control in at least two very important press companies [Trinity Mirror and News International] and I don’t believe that is now the case. I would be amazed if journalists were behaving criminally on that basis now. “Something that was very ugly and wrong and out of control has been stopped. I can’t see how anybody can say that is not good. It was a blot on our industry. One lasting consequence of the phone-hacking scandal was the closure of former press regulator the Press Complaints Commission, which failed to address the problem. The Guardian was the PCC’s fiercest critic and took the lead on calling for reform of press regulation. But at present The Guardian – along with the Financial Times, The Independent and Evening Standard – is not regulated by anyone. It has refused to sign up to new regulator, the Independent Press Standards Organisation, because it fears it is still controlled by the big national press publishers which ran the PCC. When asked what Rusbridger thinks of IPSO’s performance he gives the first indication yet that The Guardian and Observer may sign up to the new regulator. As chair of the Scott Trust he will be closely involved in making that decision. “That will be a joint conversation between the editor and the trust. I’m watching Alan Moses [the IPSO chairman] carefully. But he also says: “There’s a pretty strong feeling among Guardian readers and victims that the arrangements aren’t yet right and they would feel very disappointed in us if we joined. “Moses completely understands why we haven’t joined. In fact he probably finds it not unuseful that some people are not in so that it strengthens his bargaining position. In December 2012, less than a week after the publication of the Leveson report, every leading national press editor met at The Delaunay restaurant in London to discuss his proposals. According to those who were there, they agreed to nearly every proposal and went away to give the remaining sticking points further discussion. Then Times editor James Harding (pictured left with Rusbridger) chaired the meeting but never circulated the minutes. A week later, he was sacked as Times editor. The Delaunay agreement was forgotten about and instead publishers finally last year set up IPSO – a regulator which does not claim to be compliant with Leveson’s recommendations. It concerns Rusbridger that Leveson is now viewed by the journalism industry in universally negative terms. “I think the press has become unnecessarily fractured in the post-Leveson days…Maybe some of it’s inevitable with all the misery that’s gone on inside News International and now Trinity Mirror. “But I think sometimes we lash out at the wrong targets. There are things in Leveson we can all agree were ill-judged but I think Leveson as a whole wasn’t a terrible thing. “I do remember the first time we all met as a group of 30 editors for the infamous Delaunay breakfast and within an hour we had all agreed that we could all work with 25 of 30 Leveson proposals. There’s a lot of rewriting of history that Leveson was a terrible thing. Rusbridger spoke to Press Gazette on the day that prison officer Robert Norman was sentenced to 20 months in prison after the Daily Mirror’s publisher disclosed confidential emails to police revealing that he was a paid source. He said he remains concerned that the police openly admit they don’t acknowledge the privilege of lawyers, doctors, priests or journalists when it comes to access requests to view confidential call data. He says: “Who’s making those decisions? Why should that be the Home Office, or the security services or the police? Where’s the wider debate, because if we’re not prepared to stand up for the interests of the press and sources who risk their careers to speak to us then no-one else is going to speak up. Yet, in this country there’ a kind of muted acceptance of all this stuff that’s going on. "American journalists would be up in arms if their sources were being threatened in the way that ours are. But it’s not something that is being much discussed and I don’t know why that is, but I think it will come back to haunt us." As for the future, Rusbridger’s Scott Trust job will take up several weeks a year. During the university terms he will be busy in his new role as principal of Lady Margaret Hall college at Oxford University. Other than that he says he is looking forward to returning to journalism: not as a commentator or pundit (as many editors do) – but as a reporter. 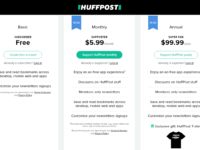 Metered paywalls have proved to be the holy grail for several national newspapers. Why is The Guardian determined to give its content away for free online (while charging print readers more and more)? “Looking at the FT and Wall Street Journal, if you’ve got financial information that’s a completely different game. The New York Times is just a unique paper in America and they’ve done a very clever job of bundling print and digital together. I don’t know of another successful model. "For, us it's this whole question of scale. Being a UK-only title, I’m not sure that is a sustainable proposition. We get the scale from being global. Are you going to break into new territories like India or America or Australia by insisting that people pay? I just can’t see it. “In five years, Kath might be having a different conversation. We are in the moment of expansion and breaking into new territories and I don’t think you can do that at the same time as asking people to pay. “That’s completely different from The New York Times and a very rich community of readers paying for a paper they’ve lived with for 150 years. 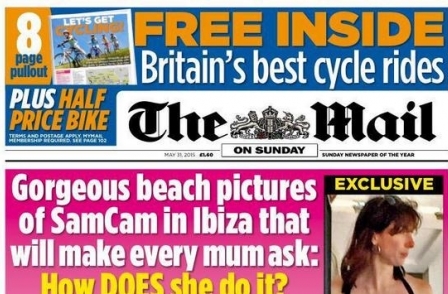 Isn’t it a bit unfair on print readers (who currently pay £1.80 per day)? “The loyal Guardian reader doesn’t mind paying in print. “When we whacked up the price of the printed paper three times in last four years, most recently about a month ago, I didn’t get a single letter saying I resent this. The people that love and value The Guardian, love and value The Guardian. In 2005 The Guardian responded to The Independent’s relaunch in tabloid format by being the first UK newspaper to adopt the Berliner format. It made a £70m investment in new Berliner-size presses. The new format provided a brief sales lift back above 400,000. But with print sales now below 180,000, The Guardian and Observer presses are under-utilised and the wrong shape to print outside newspapers on. Was it a mistake with hindsight? Rusbridger says they spent around a month producing Guardian tabloid front pages, but that it felt wrong to try to fight The Independent on its “territory”. He also notes that the huge classified sections the paper then had on Mondays, Tuesdays and Wednesdays meant they would have had to produce 200-page tabloids. He also notes that The Guardian had to switch to new full-colour printing arrangements in any case. He insists that the cost and revenue numbers for Berliner-size papers made it the best move. “In the end, The Independent now Monday to Friday sells about 35,000 copies and they did a completely different thing which was to do the i. Was he involved in picking the new editor? "They kept me well away from it, which is right. They asked me to go in and spend half an hour going through the plusses and minuses of the candidates in a neutral way. "It was completely balanced and I expressed no opinion at all. "I think I probably enjoyed it least of anybody because they are five friends, five colleagues – I mentored at least four of them – any one of them would have been a really good Guardian editor. I was relieved not to be involved." "She did something quite extraordinary in Australia. She went to somewhere she’d never been to before. Found an office, hired the journalists, put in the computers and within a year she had created something the whole of Australia had sat up and noticed and she had overtaken players that had been there for a hundred years. And she had done it with great energy, style, confidence. She wasn’t the most experienced digital journalist when she arrived. She was fantastic at it by the time she left. "People love working for her. She’s a very warm and inspirational person. That was a microcosm that showed what she’s capable of. "I think she’ll do the same here and create a very strong team who will love working for her." For Rusbridger, the secret of being a good editor is “hiring good people and letting them get on with it”. He adds: “I don’t think anyone would accuse me of being a control freak. “People feel empowered to make decisions… that leads to a happy, creative office where people are working at their best. 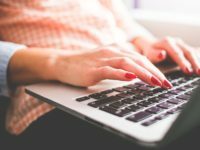 “You also have to get the right balance between the metrics… there is a new breed of people who sit on the newsdesk almost next door to people making the decisions. So you can look at the data. “But if you are ruled by data that leads you into bad places. It’s the judgement between what to we think is important and what is actually working. Rusbridger has pioneered the use of live blogs to provide fast rolling updates on big stories and says he has also “tried to do the opposite, which is long and deep and slow and investigative”. He says that the modern Guardian newsroom is roughly the same size as it was before online but nowadays is placed under “enormous” demands. “You’re starting earlier in the day you’re finishing later in the evening, you want them to do live stuff, you want them to do summaries, you want them to do the stuff they were doing in the paper. I think that becomes really a huge strain on reporters and desk people unless you can somehow convince the organisation what you are going to drop. “That is very hard for news organisations because of that whole sense of professionalism, we feel obliged to write this story or our sources want to read this story in the paper.